Whoa, there! 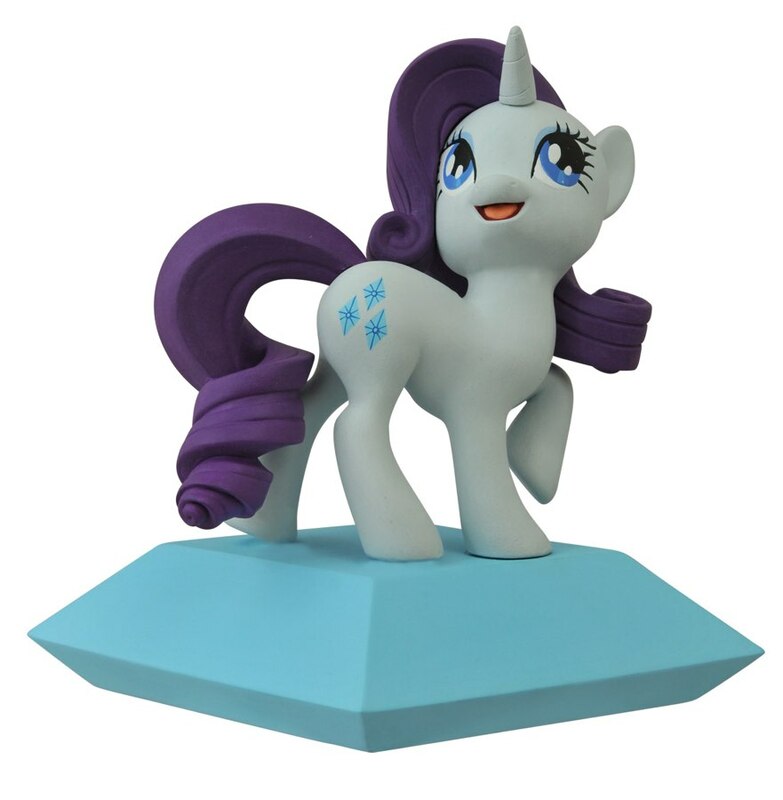 This week, your local comic shop is turning into a regular rode o, as two new banks based on My Little Pony: Friendship is Magic are galloping into stores! 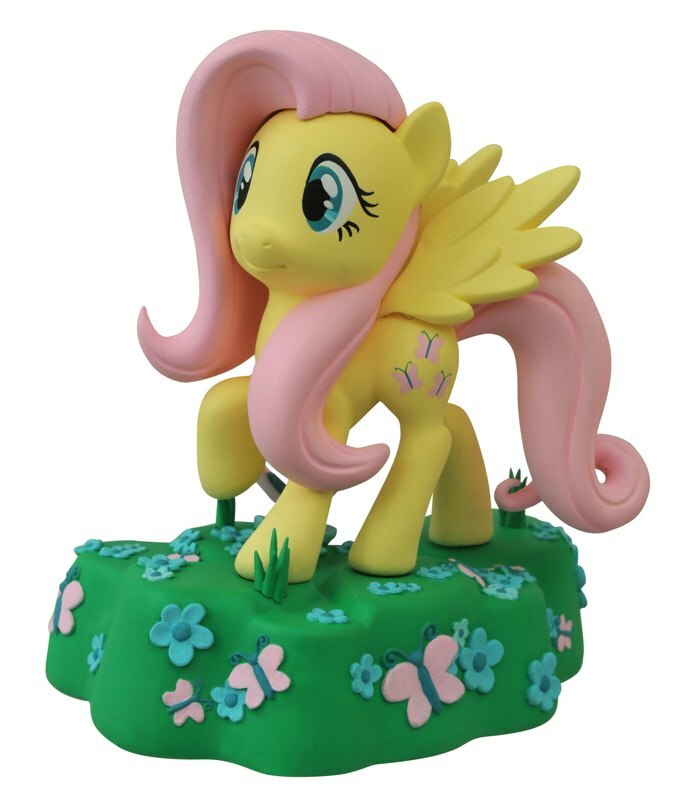 Released by Diamond Select Toys, these vinyl banks of Fluttershy and Rarity join the previously released Applejack, with even more characters on the way! 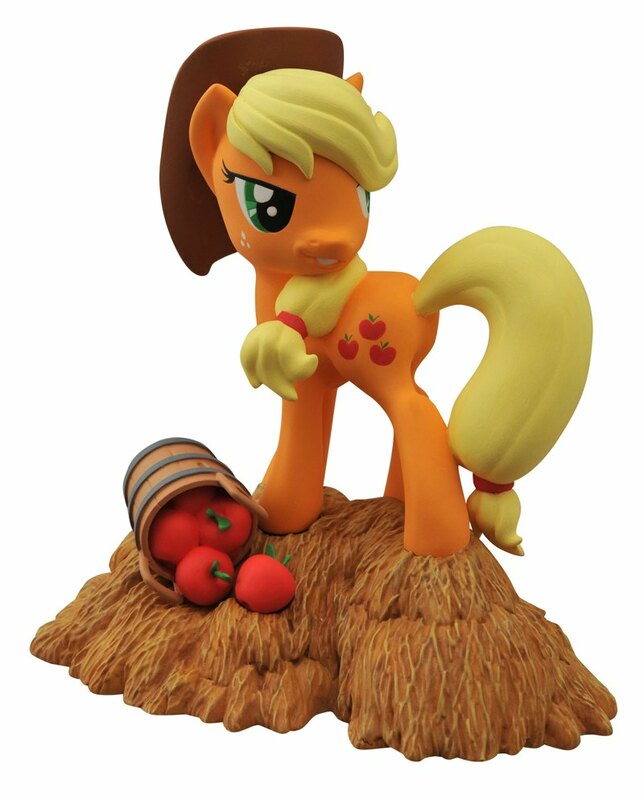 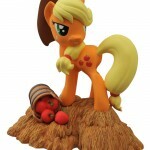 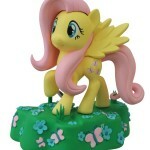 Each vinyl bank measures approximately 7 inches tall, and features a different pony atop a sculpted base: Rarity stands on a giant jewel, Fluttershy canters through a field of flowers, and Applejack stands on a haystack with a bucket of apples. 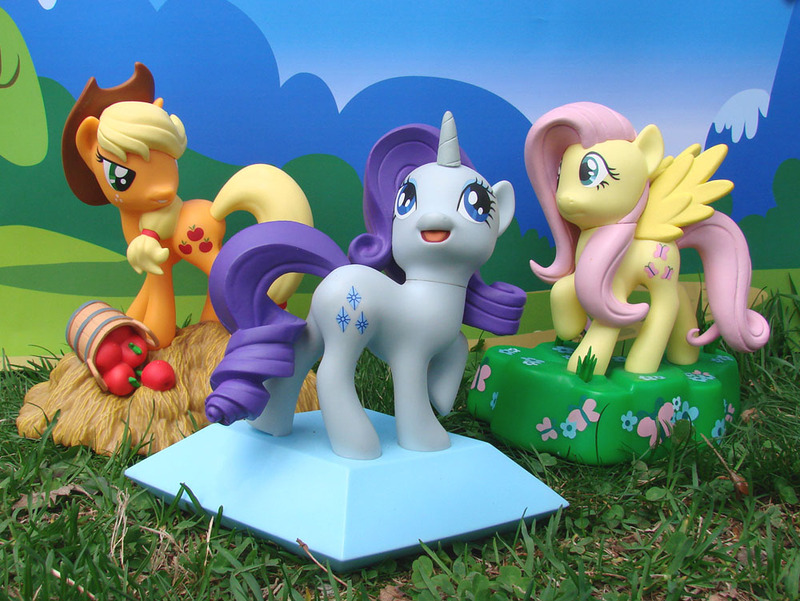 Each base has a coin slot in the side and an access door underneath, so you can store your loose change under each pony’s feet! Each bank comes packaged in a clear polybag, to protect the display-quality paint and sculpting, and is available to order through your local comic shop, your favorite online toy retailer, or diamondselecttoys.com. 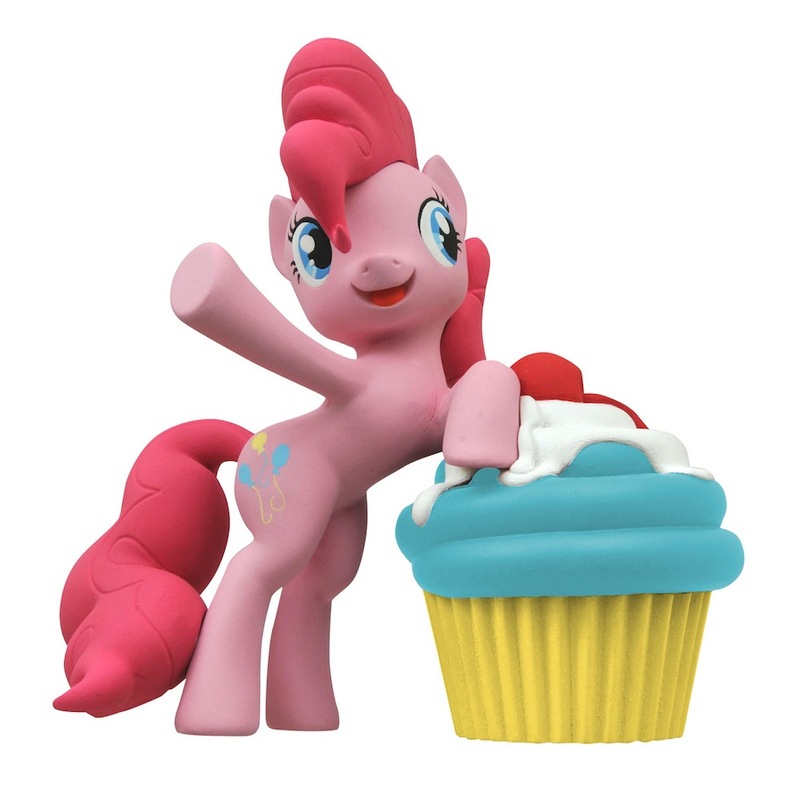 Later this summer, two more banks will join the stable, as Pinkie Pie rides in on a giant cupcake, and Rainbow Dash soars to stores on a fluffy cloud. 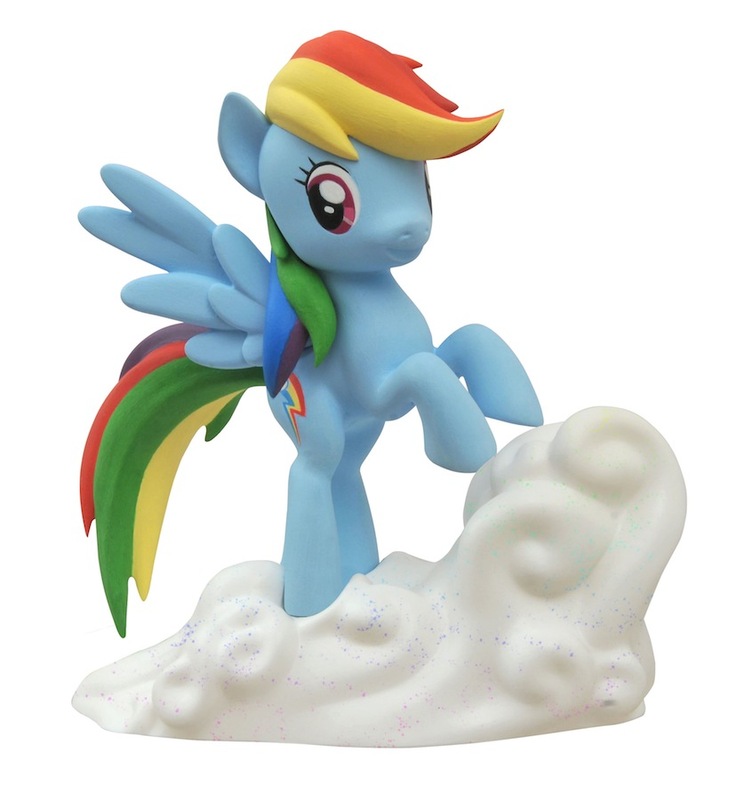 Both are available for pre-order now, and stay tuned later this month, when we reveal the sixth pony (and first boy pony) in the line! 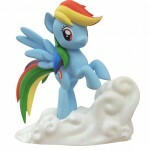 Pricing and ordering information are below, and you can find your nearest comic shop at comicshoplocator.com! 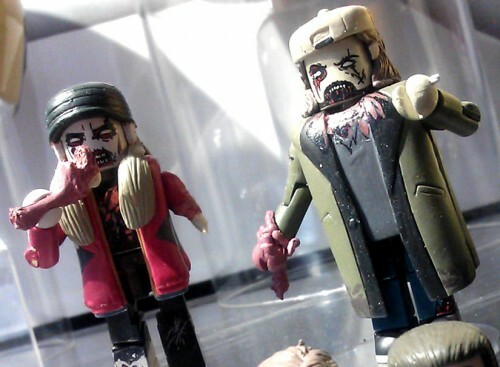 Next Up: Coming this Fall: Gotham, Ghostbusters and Zombie Silent Bob!